Guess what: it’s that time of year again … new red shoes have been given to me! Actually, I received them a couple weeks ago, but just got around to posting this now. Oh well. Anyway, in this post, I shall ramble on about slightly interesting recent happenings and possibly cool but definitely miscellaneous stuff. I’ll start with the red shoes, since that’s the most prominent part of this post’s title. 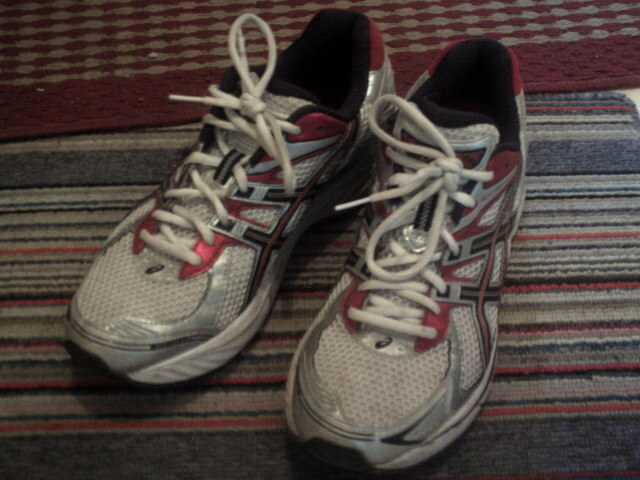 If those shoes don’t look ultra-new to you, it’s because my dad ran the Beijing marathon in them. Perhaps you’d think they wouldn’t have much cushion left after undergoing such a strenuous race, but I have to say that they were a significant upgrade from my previous red shoes. Let’s just say that a year of wear and tear basically destroys any cushion which may have once resided in a pair of shoes. On the same day I photographed my shoes, there was a really terrible early-morning fog. I couldn’t even see the apartment building across from ours, and it was only about 25 yards away. 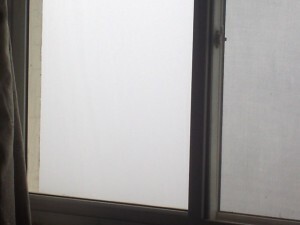 I took a picture of the view (or lack thereof) from our window just for fun. Speaking of fun, I’ve recently started playing the game Riven again. I have actually figured out quite a lot of new stuff this time around. The most interesting part recently was discovering the rebels’ secret base. One guy – who I originally pinned as a prisoner – was just sitting in this grungy little room with the window (or door?) locked from the outside. I opened it up so I could attempt to interact with him, but once I had he was nowhere to be found! He hadn’t escaped through the window-door, but the cell was completely empty. Finally, just a quick little note here: I have received all the fragments of an upgrade code for Dr. Typhon Garlic and I figured out how to use them to increase Dr. Garlic’s program level! He asked me to try finding the person who built the Aether-Net, because that person would surely know the system well enough to figure out how to free him. Thanks for reading! By the way, if you stumble across anyone who can debug a server in ten seconds flat, track down and wipe out even the toughest viruses, and recover data from completely melted hard drives, please direct him here. Something tells me Dr. Garlic’s going to need all the help he can get!